ZO PHASE 3: AGGRESSIVE ANTI-AGING PROGRAM is an anti-aging skin care regimen with seven products: ZO OFFECTS HYDRATING CLEANSER, ZO OFFECTS EXFOLIATING POLISH, ZO OFFECTS TE-PADS ACNE PORE TREATMENT, ZO® OSSENTIAL® DAILY POWER DEFENSE, ZO® OMMERSE® RENEWAL CREME, ZO® OSSENTIAL® ADVANCED RADICAL NIGHT REPAIR, and ZO® OCLIPSE® SUNSCREEN + PRIMER SPF 30. These skin care products contain ingredients to promote skin maintenance and repair, such as retinol, alpha hydroxy acid (AHA) and salicylic acid, photosomes, ultrasomes, roxisomes, Matrixyl 3000, and ceramides, as well as antioxidants and soothing plant extracts. Doctors such as plastic surgeons and dermatologists may recommend Zo Skin Health Phase 3: AGGRESSIVE ANTI-AGING PROGRAM to their patients aged forty-five and older who are concerned about deeper lines and wrinkles, thinning skin with reduced firmness and elasticity, and age spots or other hyperpigmentation. Patients may use these anti-aging products to help reduce the look of existing damage, to help protect their skin from future damage, and to help maintain the results of laser treatments or other medical treatments. 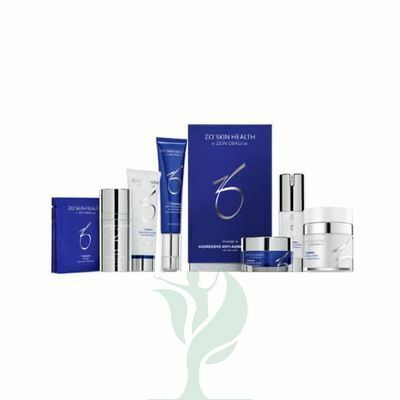 ZO® OSSENTIAL® ADVANCED RADICAL NIGHT REPAIR works by exfoliating skin, helping to renew and repair skin, and helping to protect skin from damage. The ZO® OFFECTS® HYDRATING CLEANSER removes dirt and oil that can clog pores while helping retain moisture and soothe the skin. The texture of the ZO® OFFECTS® EXFOLIATING POLISH and ZO® OFFECTS® TE-PADS ACNE PORE TREATMENT helps to remove dirt and unclog pores, while the salicylic acid and glycolic acid help to exfoliate dead skin cells, stimulating the growth of new cells and reducing the look of existing damage such as wrinkles and hyperpigmentation. 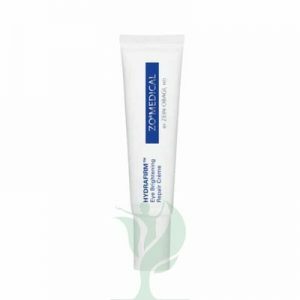 Ingredients such as retinol and Matrixyl 3000 help to firm skin while ingredients such as ultrasomes and roxisomes, ceramides, and photosomes help to promote skin repair. Antioxidants help protect skin from free radicals which can cause damage, and the titanium dioxide helps protect skin from UV radiation, helping to prevent signs of premature aging. Together, the products in ZO® OFFECTS® TE-PADS ACNE PORE TREATMENT help minimize the appearance of deeper wrinkles and age spots while helping strengthen and hydrate skin for a more even-looking skin tone.